It’s the start of a new school year and time to make a good impression. 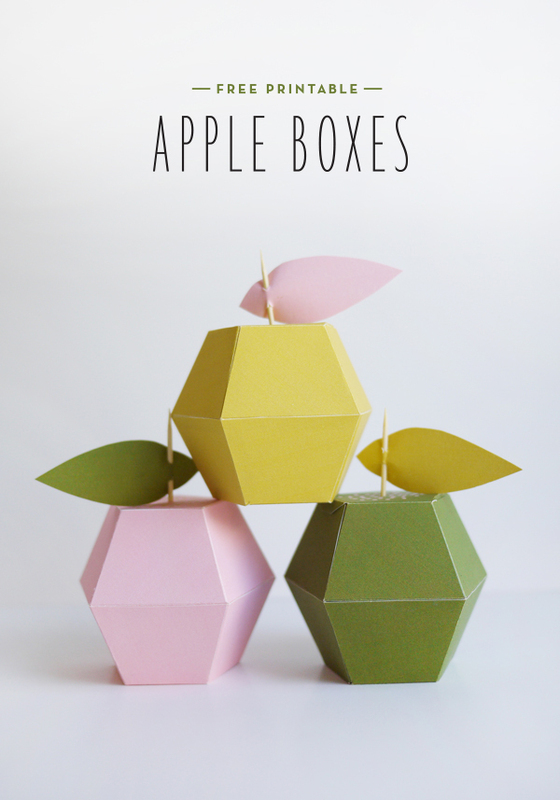 Wouldn’t it be fun to impress your teacher with an apple treat box? 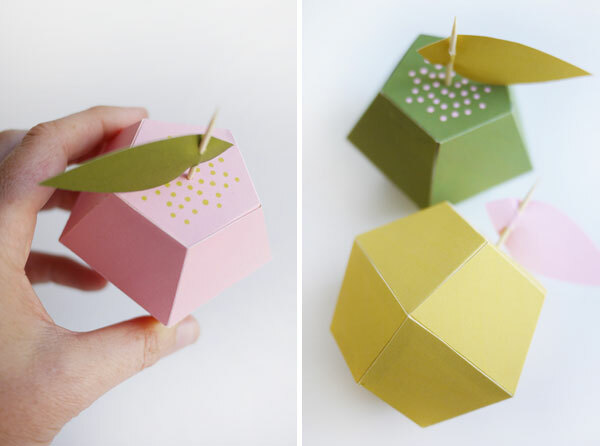 These boxes would also be perfect for a Back to School Party or a fun way to celebrate International Eat an Apple Day (September 20th). Pack these apples with any type of candy but if you want to be a bit sneaky you can fill them with gummy worms! 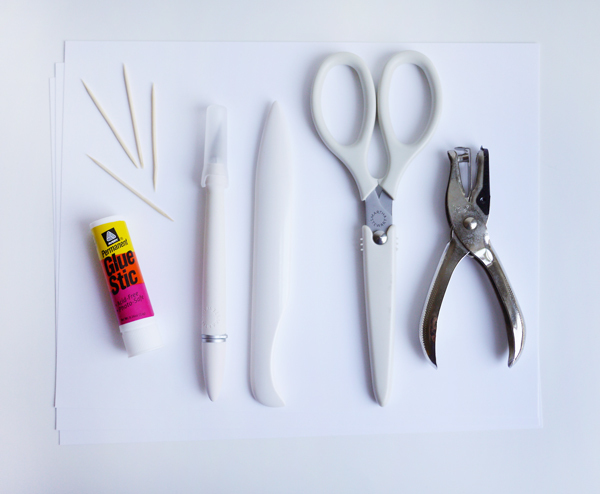 Materials: Printable Apple Box Template, 8.5 x 11 card stock (I used Epson Ultra Premium Matte Presentation Paper), scissors, craft knife, bone folder, ruler or other straight edge (not pictured), glue, hole punch, toothpicks, candy. 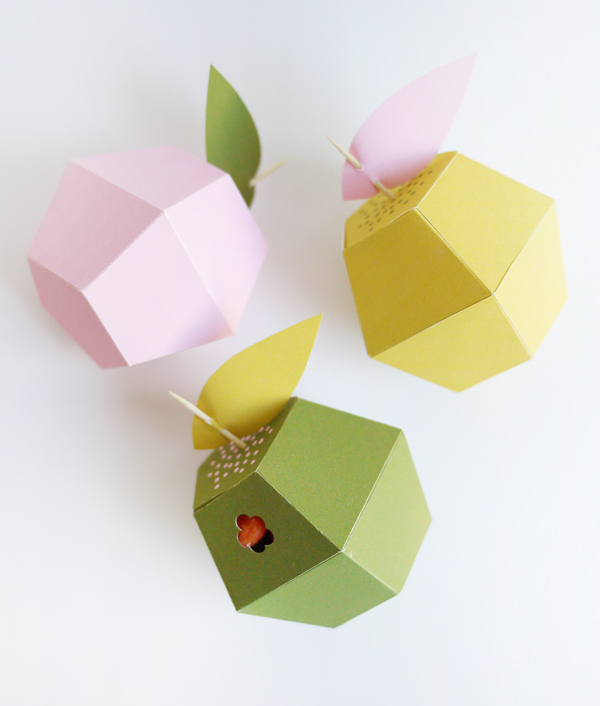 Step 1: Print out the Printable Apple Box Template on 8.5 x 11 card stock. 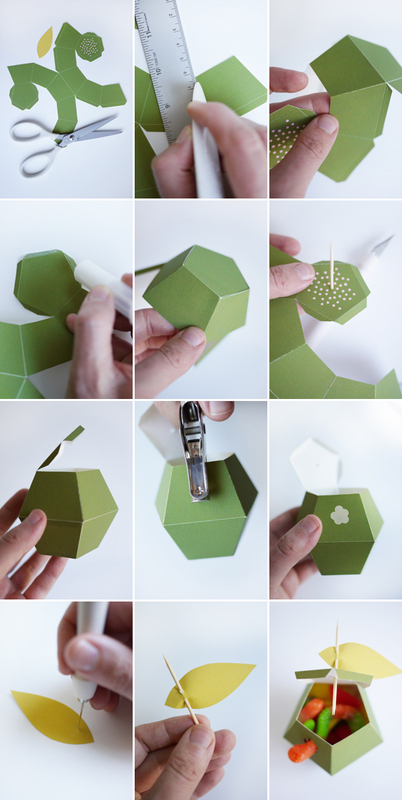 Step 2: Cut out the the apple box template & leaf. Step 3: Using the bone folder, score along all of the white lines indicated on the template & fold all scored edges. Step 4: Put glue on all of the small flaps and assemble the box as pictured. Step 5: With the craft knife, poke a small hole in the top of the box so that a toothpick will fit snug. Step 6: Using the hole punch, make a cute worm hole by punching a few times on one side of the apple. This is optional. Step 7. Using the craft knife, poke 2 holes in the leaf in the indicated spots and feed the toothpick through. 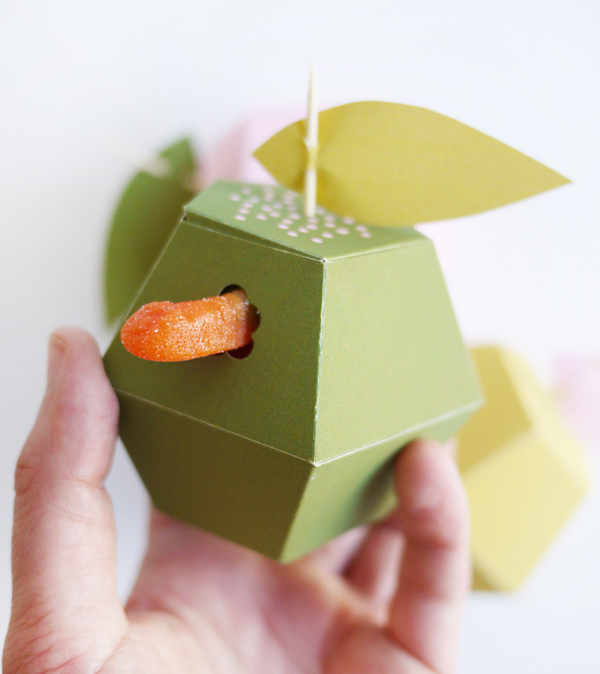 Step 8: Add your favorite candy to the apple box and top with the leafy toothpick. Step 9: Impress your teacher! Aw the worm! So cute. Oooh. The gummy worm detail was weird but oh well, it was so cute anyway! How cute is that! What a great party favor for the end of summer! 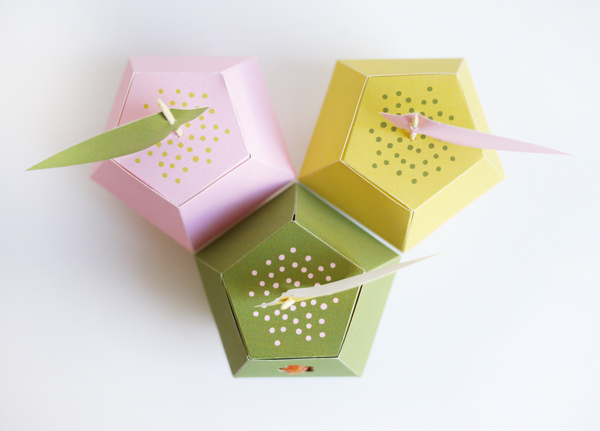 Alix, these are adorable or so creative! I am wondering if there is a way to get the template with just the outline, so I can print it onto paper that is already colored in the scheme of my party? I agree with Jenne above. The template wouldn’t print for me and it would be better. The apple cutout would look better and real to use colored paper instead of printing in color. Thanks I love the project. I’ll do it for with my granddaughter. Please please answer soon.